Raw cornetto cake recipe | Epic delicious healthy dessert! Raw cornetto cake recipe | Epic healthy dessert! Oh yeh we did! 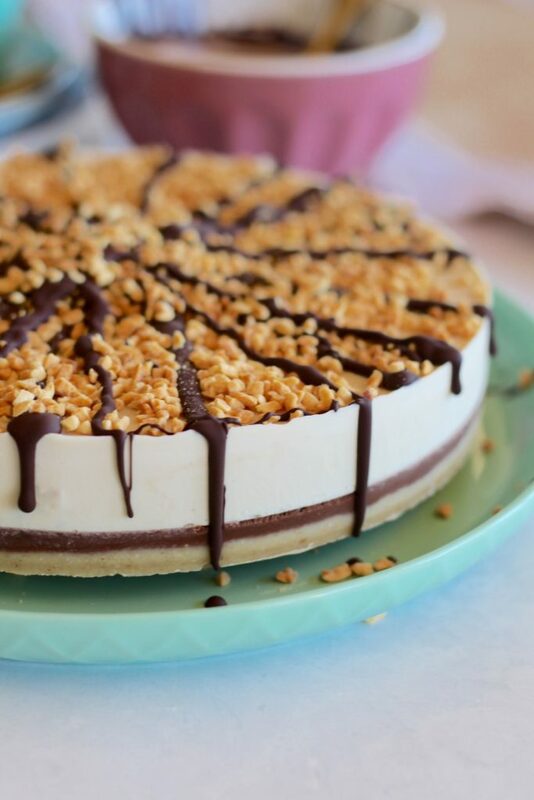 It’s a raw cornetto cake recipe and it is about to blow your mind. It tastes all kinds of amazing, it’s actually easy to make and far out it looks good! It even looks like a cornetto, but in cake form. We made this cake (well, actually Carla made it) for our new housemate’s Birthday. Delish dinner followed by this epic raw cornetto cake then probably tea and meditation and angel cards. YAY birthdays! We’ve taste tested the cake and it actually tastes like a real life cornetto… well we think so. The topping was easy, chocolate and peanuts and boom you have a cornetto. The vanilla filling was super simple too. But we think the real magic is in that chocolate layer and the base. We used toasted coconut in the base so this made it taste more like a wafer cone. Carla, you’re a genius! And seriously, so delish! And remember how good that last bite of the cornetto was? That chocolate tip, omgosh YUM! We could have hidden the chocolate layer in the middle of the cake but we thought… let’s do a whole layer, coz more chocolate wins! If you make this delish healthy cornetto cake let us know by posting a drool worthy photo to social media. We love seeing your Merry creations! 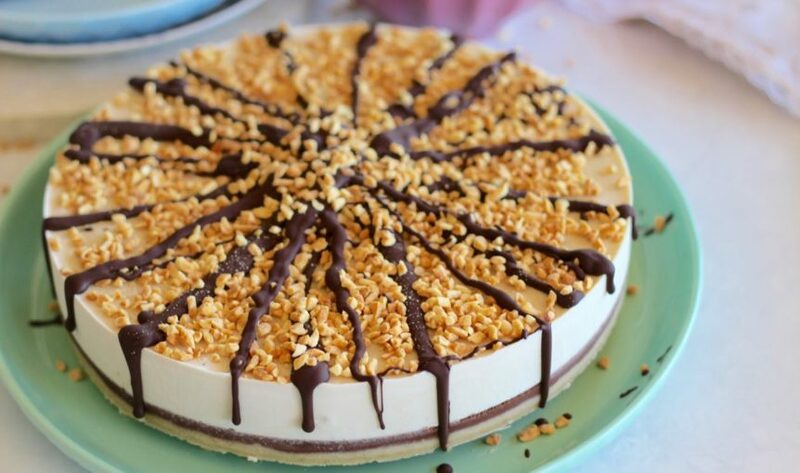 P.s if you like this cake you’ll probably also like this Gaytime Cake or what about this Salted Caramel Slice! Let’s get onto the chocolate layer! No need to wash the blender, simply add all the chocolate layer ingredients and whiz till super smooth. Pour the chocolate layer on top of the base layer and place back into the freezer. Rinse out the blender and now to get onto the filling. Place all the filling ingredients in the blender and whiz again till nice and smooth. Pour the vanilla layer on top of the chocolate layer and place back into the freezer for 2 hours or until set (you can also leave overnight). Drizzle the melted chocolate on top of the cake, sprinkle some nuts, drizzle some more chocolate, sprinkle some more nuts. Slice with a hot knife and enjoy! Slice and store in the freezer, defrost when it's raw cornetto cake time! This will help with portion control haha.